The 14th Annual March to Abolish the Death Penalty is Saturday November 2, 2013 at 2 PM in Austin, Texas at the Capitol. Meet at the Texas State Capitol Building on the South Side (11th and Congress). After a short pre-march speaker’s program, we will march through the streets of downtown Austin with a stop in front of the Texas Governor’s mansion and return to the Texas Capitol to hear more speakers against the death penalty. Texas Moratorium Network would like to thank the Indigo Girls, Amy Ray & Emily Saliers, for advocating to abolish the death penalty. The Indigo Girls are selling Abolish the Death Penalty t-shirts at their concerts this summer. Part of the proceeds from the sales of the t-shirts will benefit Texas Moratorium Network. The Indigo Girls have long supported abolishing the death penalty and we at TMN are proud to to work with them to raise awareness of the injustice of the death penalty. Check out the tour schedule here and catch a live show. The second Indigo Girls “Take Action” t-shirt is now available at live concerts during the band’s summer tour. The Abolish the Death Penalty shirt features facts and figures about the death penalty as well as artwork created for the Justice for All? death penalty art show sponsored by the Texas Moratorium Network. T-shirt proceeds will benefit the Texas Moratorium Network and Georgians for Alternatives to the Death Penalty. People of color have comprised 43% of total executions since 1976, while comprising only around 25% of the population. (Race and the Death Penalty, American Civil Liberties Union, February 26, 2003). Common characteristics of death-row defendants are poverty, the lack of firm social roots in the community, and inadequate legal representation at trial or on appeal. Approximately 90 percent of those on death row could not afford to hire a lawyer when they were tried (The Case Against the Death Penalty, American Civil Liberties Union, December 11, 2012, and Furman v. Georgia – 408 U.S. 208 (1972)). The United States leads the world with the third highest rate of executions, behind only Iran and Saudi Arabia (New data was released by Amnesty International after the t-shirt went to production. The United States trails Iran, Iraq, Saudi Arabia and China in the number of executions performed in 2012 (unofficially in the latter case, because the number of executions is a state secret)). African-American defendants receive the death penalty at three times the rate of white defendants in cases where the victims are white (Dave Collins, “Yale study: racial bias, randomness mar Conn. death penalty cases,” Associated Press,December 12, 2007). The 500th execution in Texas is scheduled for Wednesday, June 26, 2013 when Kimberly McCarthy is scheduled for execution. 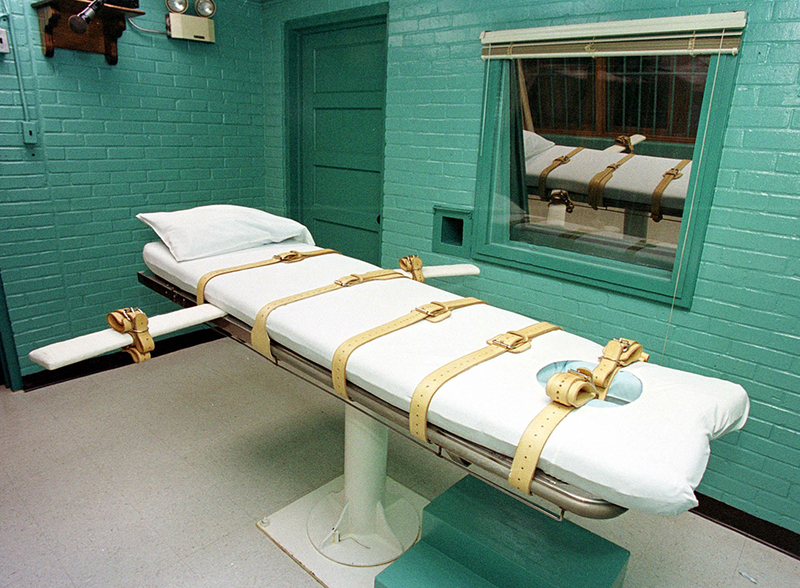 The execution may still be stayed, as legal appeals are still pending. To express your opposition to the execution, you can contact Governor Rick Perry’s office at 512 463 2000. If you call after business hours, you can leave a voice mail message. During business hours, someone should answer the phone. You can also send a message using a form on Perry’s official website. 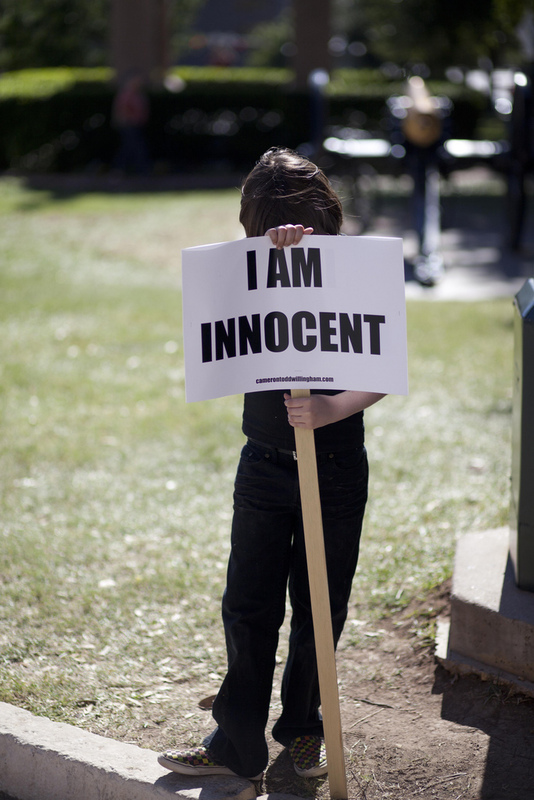 The protest in Austin of the 500th execution will be on the sidewalk in front of the Texas Capitol facing Congress Avenue at 11th Street, at 5:30 pm. The protest in Huntsville will be outside the Walls Unit on the corner of Avenue I at 12th Street, starting around 5:30 pm on execution days. Executions take place at 6:00 PM. On Wednesday, Texas is scheduled to execute its 500th death-row inmate since the Supreme Court restored capital punishment in 1976. The state hasexecuted nearly five times as many people as Virginia, the second state on the list. Texas’s death penalty system is notorious for its high tolerance of ineffective counsel for defendants, overly zealous prosecutors, and racial discrimination in jury selection. The case of Kimberly McCarthy, the woman scheduled for execution, seems tainted by all three. Ms. McCarthy is an African-American who was sentenced to death in 2002 for murdering a white woman. That’s not surprising: In Texas as well as other states, a black person who murders a white person is more likely to receive the death penalty than when the victim is black. The 12-person jury that convicted and sentenced Ms. McCarthy included only one person who wasn’t white, after prosecutors used their peremptory, or automatic, challenges to strike three other non-whites. That was in apparent violation of a Supreme Court ruling against purposeful exclusion of minorities from a jury when a minority is the defendant. The defense counsel did not challenge these apparently unconstitutional race-based strikes or request the kind of hearing for doing so that the Supreme Court allows. The lawyer did not raise the issue on appeal. A different counsel did not raise the issue in the defendant’s later challenge through a writ of habeas corpus. Because of these failures, no court has ever reviewed the merits of Ms. McCarthy’s claims about racial discrimination. Last week, Ms. McCarthy petitioned for that kind of review from the Texas Court of Criminal Appeals, represented by a new lawyer who is an expert in capital cases. As of Monday morning, the court had not yet decided the case. It is expected to rule by Tuesday. Ms. McCarthy was convicted and sentenced in Dallas County, Texas where the prosecutor’s office has a well-documented history of intentional discrimination going back to the 19th century. Calling it history, though, misrepresents the reality. The discrimination has continued, on a modern foundation of deliberate bias. In 1963, a manual of the office instructed that prosecutors should not take “Jews, Negroes, Dagos, Mexicans, or a member of any minority race on a jury, no matter how rich or how well educated.” In 1986, the Dallas Morning News reported that county prosecutors were still trying to keep almost all blacks off juries by using peremptory challenges. Ms. McCarthy’s case seems to fit this offensive, unconstitutional pattern. The Texas Court of Criminal Appeals should stay her execution and give the case the review it warrants, scrutinizing the record of the trial for racial bias by the prosecutors.